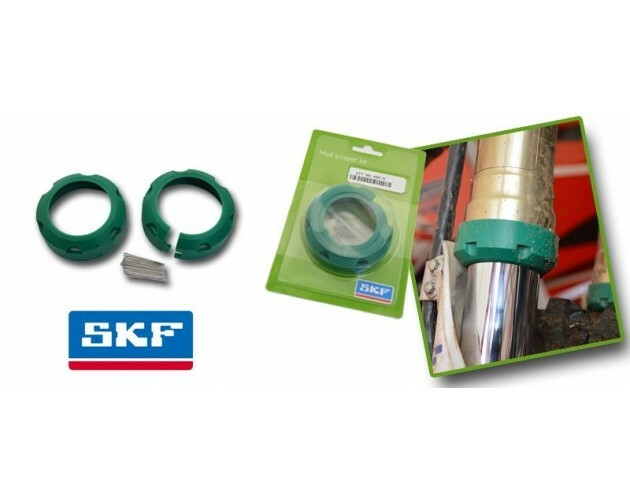 Presented at the 2013 EICMA show in Europe, the SKF Fork Mud Scraper Kit is an innovative solution developed specifically for the off-road market. It is designed to be positioned on the upper fork tube without the need to dismantle the wheel. Due to an innovative design, the SKF Mud Scraper Kit is installed to the fork tube and is closed by cotter pins. It is a ready-to-use solution that can be installed quickly during muddy conditions to prevent seal and bushing damage. The Mud Scraper Kit prevents contamination from mud and the abrasion it causes, thus ensuring the performance of the fork and the service life of the seal and bushing. 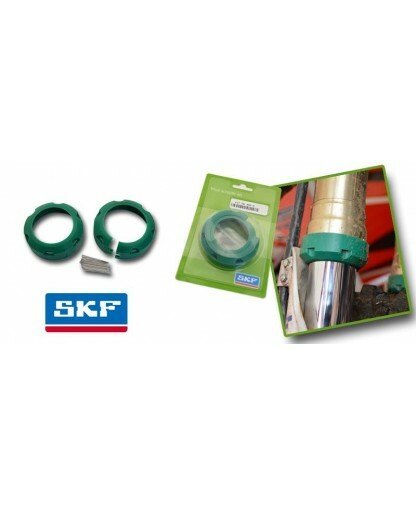 The fork mud scraper kit has been developed entirely by SKF with laboratory and track testing to achieve the fine tuning necessary for actual operating conditions and subsequent performance optimization. In addition to the innovative design, the fork mud scraper kit uses the polyurethane material X-ECOPUR, an SKF proprietary material characterized by high abrasion resistance alongside an excellent smoothness.